At last! 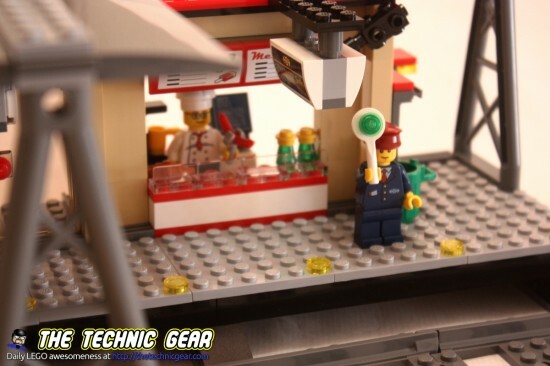 I built and review the new LEGO Train Station that was released with the new LEGO 2014 Trains: The High Speed Passenger Train and the Cargo Train. If you follow The Technic Gear you may recall that I built something quite close a few months ago. I will compare this LEGO model with what I built using it as a reference. 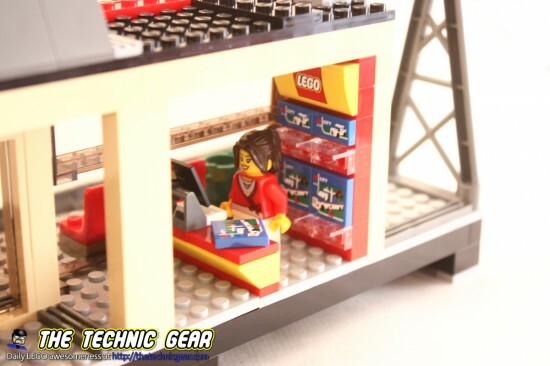 Where can I buy LEGO 60050? 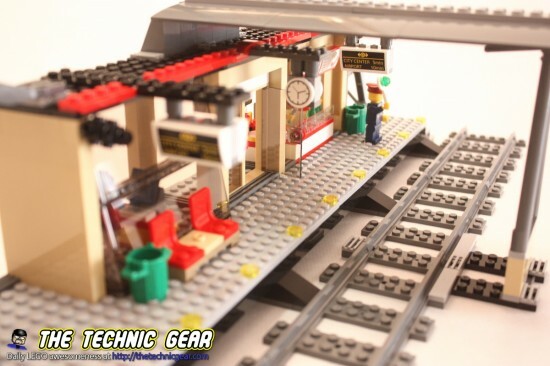 Browse the shops while you wait at the busy LEGO City Train Station! 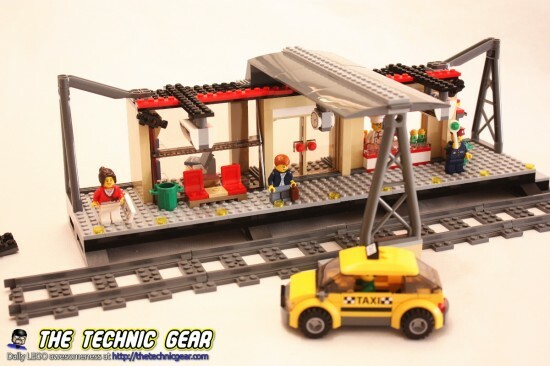 Take a taxi to the busy LEGO City Train Station, a place that never sleeps! On arrival, go up the stairs and through the opening doors. Check the time on the large clock hanging from the roof and the map of train services by the ATM. 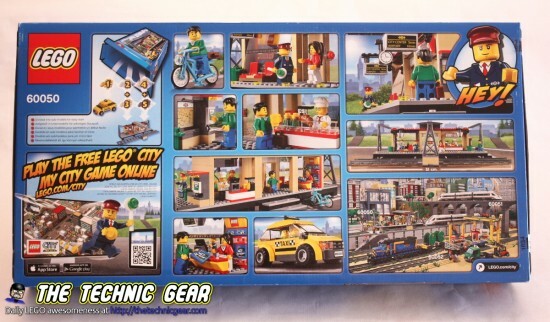 While you wait for your train, browse around the shop selling LEGO® City products. Feeling hungry? Head to the kiosk and order a croissant or pizza and a drink from the menu signs hanging above the desk. Then take a seat on the clean platform, enjoy your snack and relax. 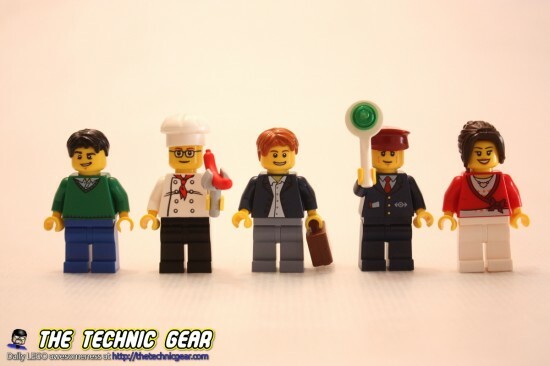 Includes 5 minifigures: conductor, chef, taxi driver and 2 travelers. Not as big as the LEGO Train boxes, this Train Station comes with a decent box that as usual is almost empty. On the back of the box you have lots of images of the station as well as that lovely diorama of LEGO Trains. I must try to build it someday. This set comes with three manuals. One to build the taxi and two to build the station. This set has a decent amount of parts but it won’t suppose a challenge to you. 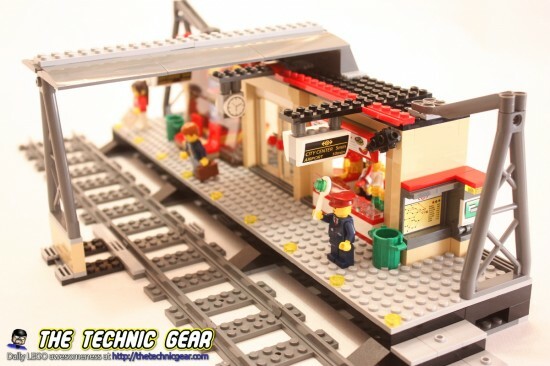 In fact when I built my own version of this LEGO Train station I used more parts to build the walls. The set is big ( for so little parts ) and as usual you have here the compulsory timelapse building. The taxi is very similar to the old Train station’s taxi. Personally I don’t like at all the fact that both cars are one minifig-wide. The train station has three different parts. On the right, there is a restaurant with a chef and something that looks like pizza… definitively the chef should be fired!. On the left, there is a LEGO shop with several LEGO boxes. The result is quite interesting. and this is from its right side. 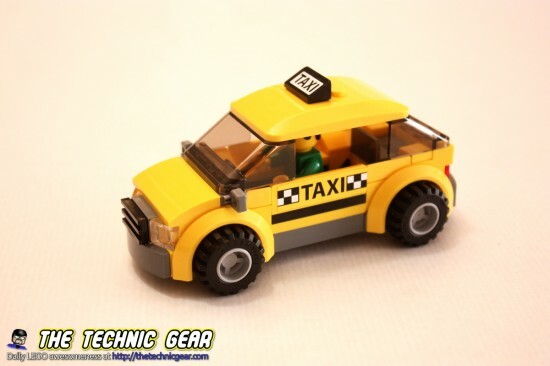 This set comes with four minifigs: One taxi driver, a man, a woman and the Station chief. It is a pretty decent set and big enough for its price. – Once you built a few LEGO Creator sets this one is a bit simple. 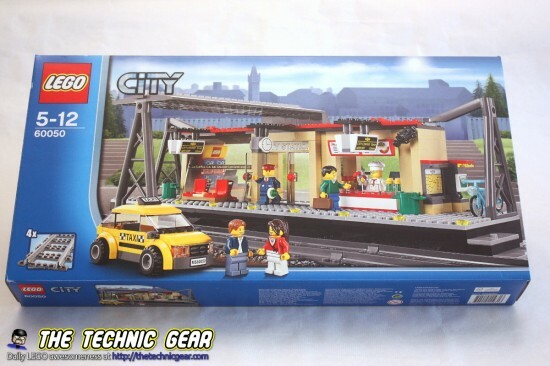 Does LEGO 60050 worth the money? Definitively! Go and check on Amazon first, as you will save a few pounds.